5 sets of 15 reeds and the non-aligned acronym "CEMAC" (Economic and Monetary Community of Central Africa) repeated 8 times alternatively up and down. 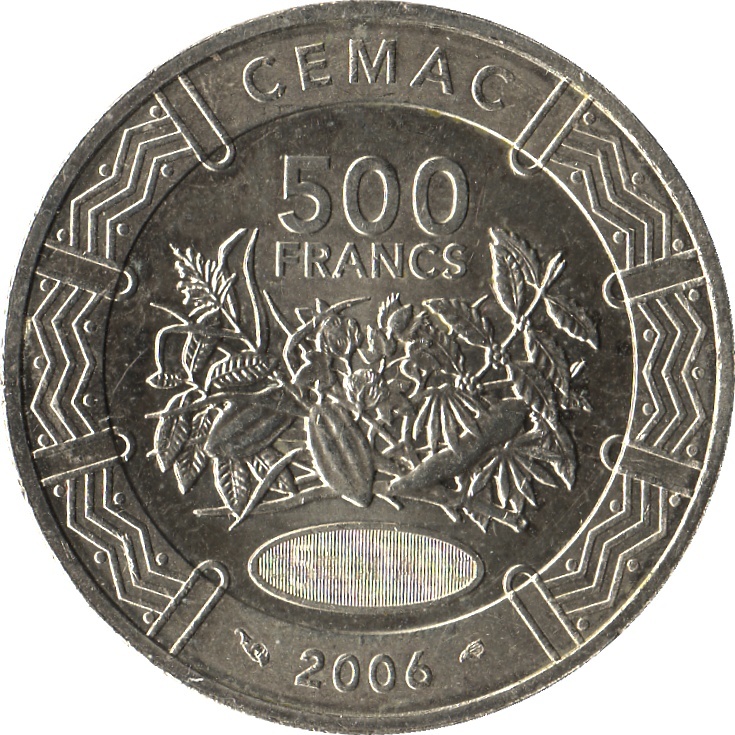 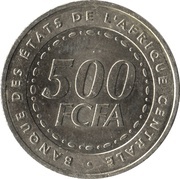 Concept of coins released in 2006 (1, 2, 5, 10, 25, 50, 100,500 Francs) (KM#15 to 22) are the agriculture produce of Central African Countries. 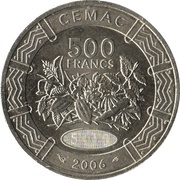 Has hologram showing "CEMAC" or "500" depending on how it is looked at.